Polaris begins operations in 2017 when Finland celebrates its centenary as an independent nation. The icebreaker’s fore bulkhead has been adorned with the ‘Finland 100’ logo to honour the occasion. With 1 100 kilometres of coastline and winter temperatures which can plummet below -30, it is not surprising Finland is known for its icebreaker expertise. This knowhow is now showcased in Polaris, the world’s most environmentally friendly icebreaker. 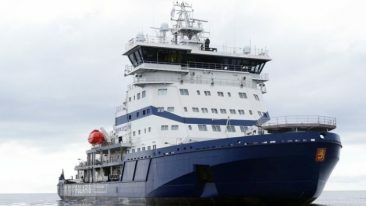 Polaris is the first new icebreaker to be launched in Finland since 1998. Commissioned by the Finnish Transport Agency (TFA) and owned by the state-controlled Arctia, Polaris has been a four-year long project tapping into the expertise of various Finnish companies. The result is the world’s first icebreaker powered by liquefied natural gas (LNG), which significantly reduces carbon emissions. Alongside the technological achievements that the ship represents, it is also making a splash for its timely arrival. Polaris is ready to start operations in early 2017, just in time for Finland’s centenary of independence. With the theme for Finland’s centenary year being “Together”, the project stands as an excellent example of what is possible when Finnish knowhow comes together for a common, innovative goal. In keeping with this spirit of collaboration, Good News from Finland talked with three of the companies that have contributed to making Polaris. Aker Arctic’s fingerprints can found on over 60 per cent of the world’s icebreakers. 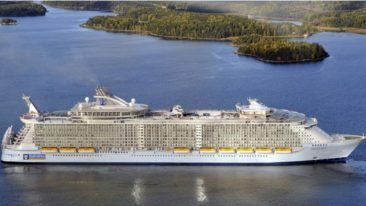 The Helsinki-based company was part of the Polaris project from the beginning, first consulting on early planning and later taking charge of the vessel’s conceptual design with support from FTA and another Finnish marine engineering specialist, ILS Ltd.
Polaris fits the bill as the most environmentally friendly diesel-electric icebreaker to date. A key part of this are its low emissions thanks to the capability of using both LNG and ultra-low sulphur diesel. Aker Arctic is as busy as ever since the conclusion of the Polaris project. Notably it is designing icebreakers and ice-going vessels in France, China and Russia as well as working on a potential major project in the US. Polaris is tasked with breaking open fairways on the Baltic Sea and the vessel’s innovative hull design and propulsion arrangement maximise its icebreaking capacity even in harsh conditions. Aker Arctic’s partner in creating this design was Turku-based ILS Ltd.
“All major decisions were done together, but all features regarding multi-purpose operations, such as open water functions, emergency towing and model testing in open water were our domain and Aker handled the icebreaking side,” explains Jyrki Lehtonen, managing director at ILS. ILS has been designing icebreaking vessels (including the world’s first multi-purpose icebreaker) for almost 30 years. Lehtonen laughs as he explains customers always have impossibly high requirements – and Polaris was no exception. “The order was to make a better icebreaker than any previous ones and one which is also capable of open water operations,” Lehtonen says. In addition, TFA wanted this powerful icebreaker to produce practically zero emissions, but the teams pulled it off with LNG. It is a great reference for the 16-person company and ILS is gathering speed as a result with multiple global design projects on its books. Aside from icebreaking, Polaris can perform emergency towing, rescue operations and oil spill response operations all year round. Its in-built oil recovery system was provided by Finnish environmental solutions specialists Lamor Corporation. The system also includes a storm boom, which even enables oil recovery in rough seas, as the vessel can be operated sideways. In this unique application model the vessel stifles the majority of waves making it possible to recover oil from the water surface. Lamor has developed a wide range of oil spill response and recovery equipment and services, but its Arctic knowhow is where the company believes it is significantly ahead of its competitors, and why it likes to target these regions. But for all this internationalism the Polaris project is what remains most dear to all three companies because it stands as a Finnish showpiece. 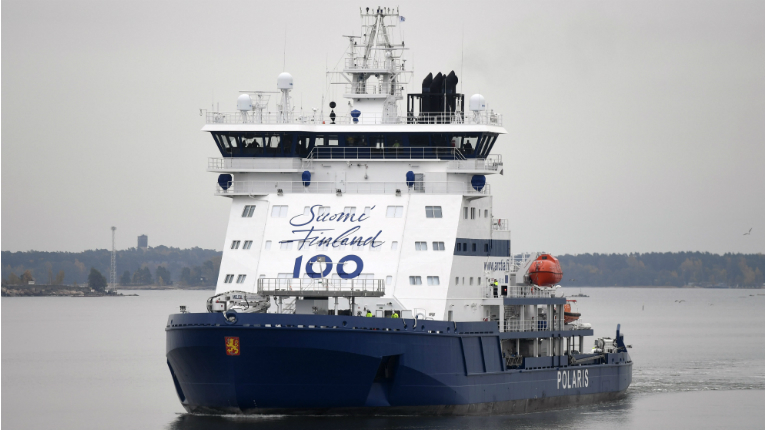 Polaris, the world’s first LNG powered icebreaker, has been designed and constructed entirely in Finland.